Staff was friendly and there were lots of food options nearby. The room was clean and cared for. The location was also good and close enough to walk to the Eiffel Tower. Friendly and efficient staff and a comfortable, clean room. Good value for money for the location that I needed, close to a business meeting. The staff are excellent and were very helpful to us. The rooms were very clean but basic, nothing wrong with that. 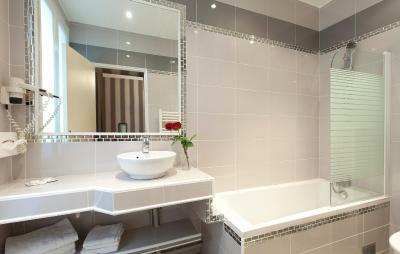 Our ensuite was very new and looked like it had very recently been refurbished so excellent!! We had a very pleasant experience at the hotel. 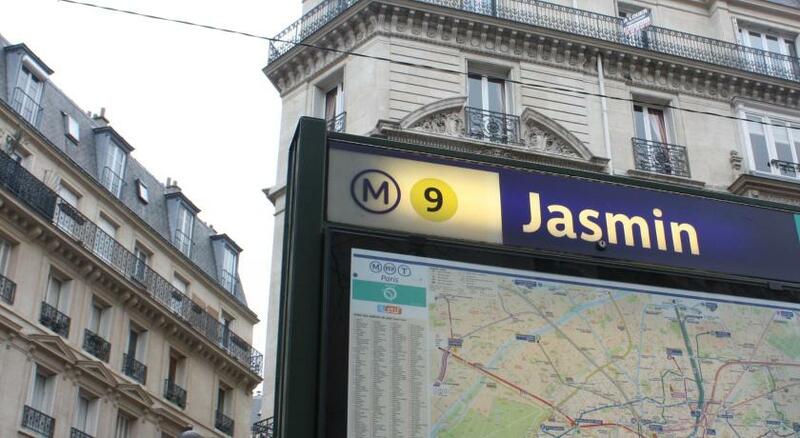 Located in Paris’s residential 16th arrondissement, Ribera Eiffel is just 1,150 feet from Jasmin Metro Station and a 20-minute walk to the Trocadero Gardens. 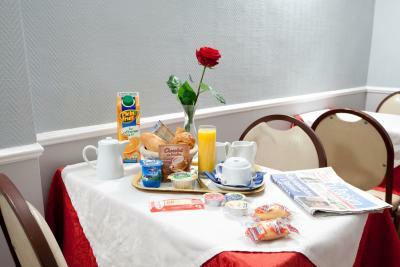 The hotel offers en suite accommodations with free Wi-Fi and elevator access. 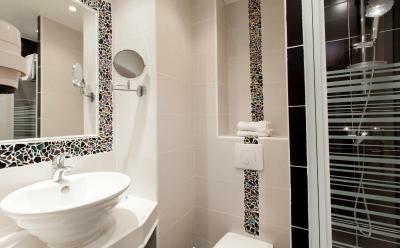 The guest rooms at Ribera Eiffel are decorated in light colors and feature a fireplace. Each has a flat-screen TV with a DVD player and French cable channels. Roland Garros Stadium is 1.1 mi from Ribera Hotel. The Eiffel Tower is 1.2 mi away. When would you like to stay at Ribera Eiffel? The room features a flat-screen TV with a DVD player, a safety deposit box and a refrigerator. It also includes private bathrooms. Hotel surroundings – This neighborhood is a great choice for travelers interested in shopping, romance and restaurants – Check location Good location – show map Guests loved walking around the neighborhood! House Rules Ribera Eiffel takes special requests – add in the next step! Ribera Eiffel accepts these cards and reserves the right to temporarily hold an amount prior to arrival. The bed was not very comfortable, you could feel all the springs in the mattress. Location is great, and staff was very friendly. The room was quite spartan but I was not expecting anything else for the price. Cleanliness of the rooms, age of carpet and other textiles; on a busy street so lots of street noise if keeping the window open; plumbing and water issues. The double bed was very uncomfortable and room was very tight to have a double and single bed in there. The shower "door" didn't do a good job of keeping the water in. The room was overpriced, I expected the room to be nicer from the pics online. The staff was amazing! They were very friendly and helpful! Room wasn't too clean, there was no air conditioning and despite the fact that the area is quite calm during the day, it was really noisy early morning, garbage trucks, deliveries, etc... Couldn't sleep at all.